Another round the world Mcdonald's Happy Meal toys hopping for me today. Here are the interesting toys I found worldwide. Austria - features toys from Star Wars Clone Wars and Littlest Pet Shop. ﻿Belgium - has Hello Kitty and Bakugan fro their set. ﻿Brazil - one of the most interesting find. 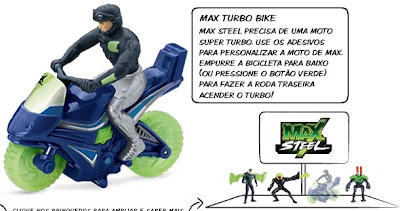 Happy Meal Brazil features Max Steel, this is the first time I saw this figures. I hope it reaches the Philippines. China - ﻿features the very cute Tamagotchi gang. And there you have it, until next site hopping. Now here is the boys toy set from Happy Meal US. 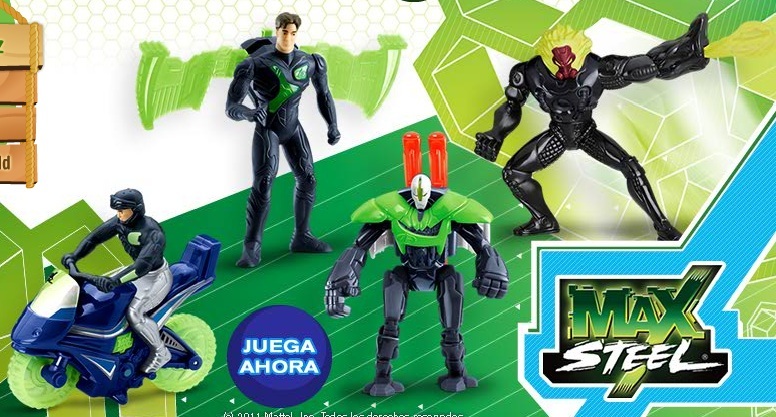 After releasing the Marvel set few months ago McDonald's US is releasing toys from DC, The Young Justice. 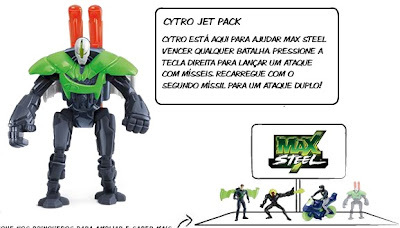 The complete set consist of eight characters from Young Justice. 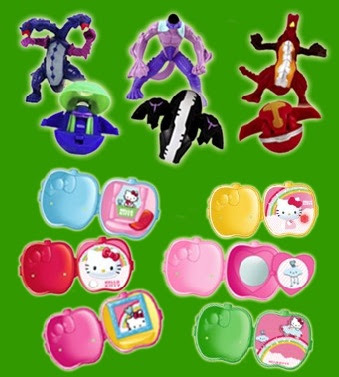 Here is the girls toy set from Happy Meal US. 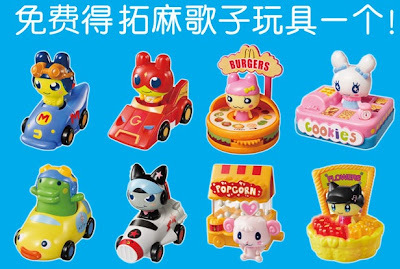 This month McDonlad's is featuring the cute little pets from The Littlest Pet Shop Collection. 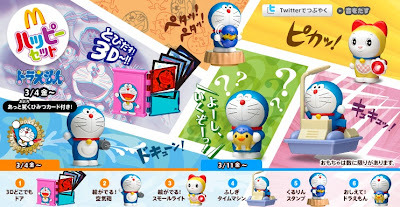 The set consist of eight toys to collect. Here is the latest set from Burger King US Kids Meal featuring characters from the latest Johnny Depp movie Rango. Road Rinner Rango - Rapid running action! Wind up Rango and release. Watch his legs swiftly move forward. Twirlin' Ms. Beans - Wind up and twirl! Watch Ms. Beans move forward, spin round and round and repeat her dance again for you. Carl's Jr. US kids combo presents Megamind toys. Here is the latest Happy Meal toys here in the Philippines﻿. 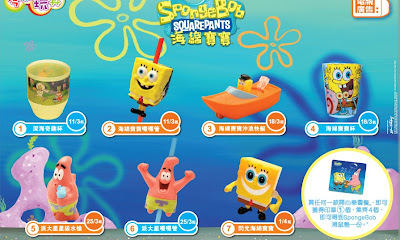 It features Spongebob Squarepants from Nickelodian. Seven toys to collect. Rango is a 2011 American computer-animated comedy film directed by Gore Verbinski and produced by Graham King. It features the voices of actors Johnny Depp, Isla Fisher, Bill Nighy, Abigail Breslin, Alfred Molina, Harry Dean Stanton, Ray Winstone, Ned Beatty and Timothy Olyphant. Rango is a chameleon who lives in a terrarium and constantly seeks to fit in with his surroundings. He finds himself removed from his contemporary American southwest surroundings and ends up in an Old West town in the middle of the Mojave Desert called Dirt, which is populated by various desert critters garbed like characters out of Western fiction. Thinking himself a hero, Rango establishes himself as the town's Sheriff, not knowing that people who have held that title do not fare very well in Dirt. In "an existential crisis", Rango comes to question everything about himself. Here are the new toys for Jollibee Kid's Meal featuring Rango.